My commission cheque from Nuffnang has finally arrived through the post yesterday exactly 1 month after I requested for payment. 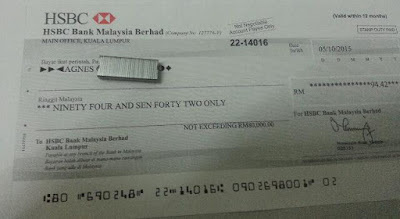 This is the first cheque that I received from them, it is the accumulation of commission generated from this humble blog of mine from November 2010 till November 2014, I noticed that there isn't any more commission coming from them after that. Besides blog advertisements, there are other activities offered to its community but all happenings are concentrated in West Malaysia. 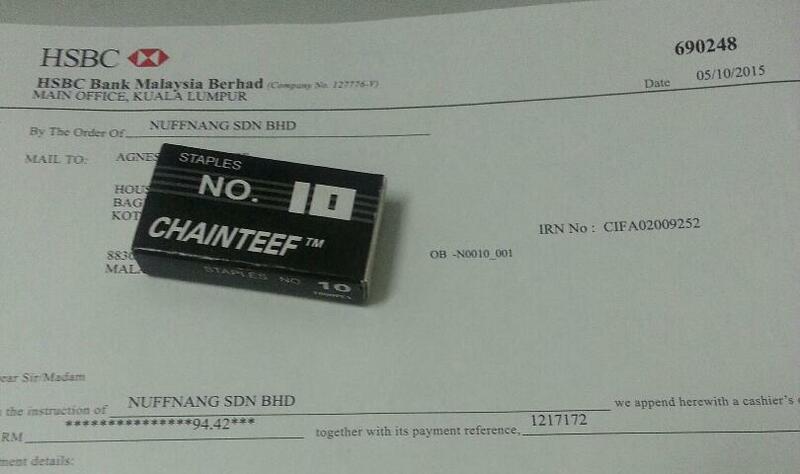 I hope they will extend some to East Malaysian's bloggers. What I like about them is the prompt payment too. I received my cheques a month after payout too (provided I request at the end of the month).